Got the call from Miguel that we should do some night fishing. Seeing as I had nothing to do on a Friday night I decided to load up the yak and see whats up. I picked Mike up around 5pm and then made a quick stop at academy for headlamp. When night-fishing you need a 360 degree light on a pole to be seen. 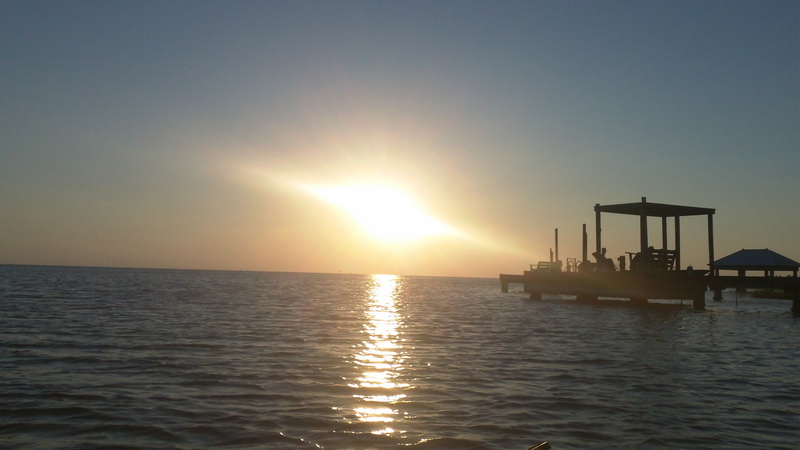 We finally made it to the water at about 7:00pm thanks to the traffic and difficulty finding a new launch spot. The problem with launching further inland on South Padre Island is that there is no parking for your vehicle and trailer. Every parking spot is private property and returing back to a towed vehicle is no fun. So we called up Manny from Rodbenders guided kayaking service for alittle advice. After getting the details on a secluded launch site we quickly headed over and put our kayaks in the water. There was activity all over the water. 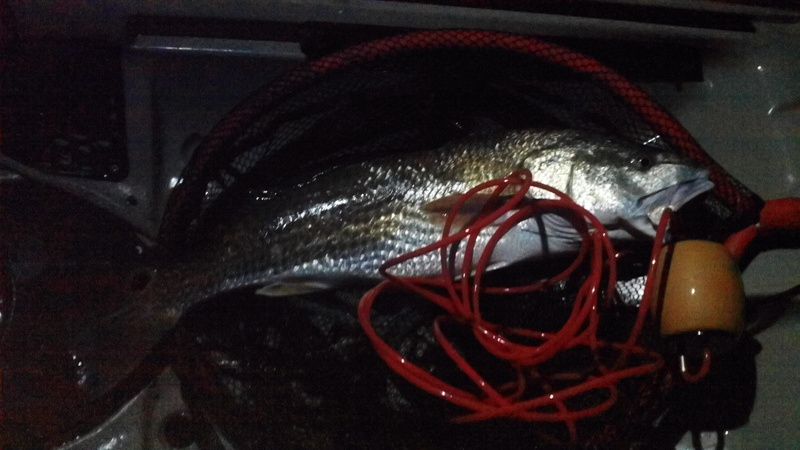 So I started to throw a SproDawg hoping to hook up on a top-water bite. After 3 blow-ups with no hook ups I decided to switch to a Kelly Wiggler. After doing so I immediately caught a skipjack(ladyfish). Miguel was throwing an Aquadream spoon in green color and caught a 25 in 6lb Red. After working the area over in the dark we decided to head back in towards the dock lights. I’ve personally never done very well while fishing the dock lights. It seems that every time I got out and do so its a skipjack festival. Which not my surprise happened again. I caught multiple skipjacks and wondered “how many reds or trout must be under those skippies?”. We got off the water a little later than expected but had an amazing time fishing under the stars. 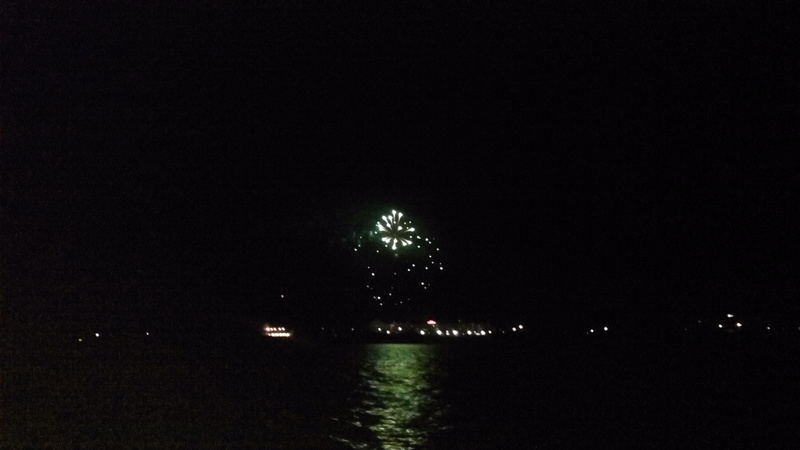 It was really nice to watch the fireworks over the bay while fishing. Even better they do it on the North and South side of the island now.